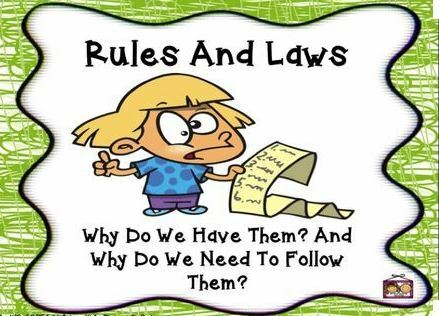 HomenewsassociationsWhy Do I Need To Follow My HOA Rules? Every planned development that has a membership, called an association or HOA, as is commonly known, is impacted by a set of rules called covenants, conditions and restrictions (CC&Rs). CC&Rs are community rules in which all property owners must adhere. The intent of CC&Rs is to protect, to preserve and to ensure basic community unity. The truth is, CC&Rs are legal rules and are upheld in a court of law. If a homeowner violates these rules, your HOA has the right to let the State enforce them. In addition, these rules refer to the parcel and to the dwelling in which the homeowner lives, and do not refer to the homeowner, or the tenant who lives in the house. CC&Rs are transferred by the Deed to the property in the event of a sale to every future property owner. It is important to note that not all subdivisions have the same CC&Rs or were written in the exact same language; there is a great deal of variation and many need to be updated. CC&Rs originated by the developer or the builder of your subdivision. It is the working document of your homeowner’s association (HOA), and your elected HOA Board then oversees that those rules are enforced. If you decide to paint your house with color or alter your property in any way not approved by the CC&Rs, you may be in violation and issued a fee. If uncertain, read your CC&Rs or check with the Board for approval. If you violate the CC&Rs, the Board may levy a fine against you. In extreme cases, the Board could impose a lien on your home which may be passed onto a new buyer if you decide to sell your home; or worse, could result in foreclosure. You should ask the Board for an exception, if you disagree with any part of the CC&Rs. Keep in mind that changing or amending the CC&Rs would take a majority vote of the Board to result in any action. What if you disagree with the actions of your Board? You can solicit your neighbors to change the CC&Rs, or even to remove a Board member. The rules for doing so should be outlined in your CC&Rs, but you will need a majority of the owners to agree to the amendment or change. Changing the CC&Rs can be challenging without Board support, so you will need 66¾ of the votes from the home owners. Another alternative is to have a professional management service act as an unbiased, facilitator of the HOA. An HOA management service that is a member of the Community Association Institute (CAI) helps to interpret CC&Rs, update and amend the bylaws, and makes certain that all homeowners understand their role in their community. HOA managers enforce and govern all homeowners equally. An example of a professional management service in Idaho is MGM Association Management. With locations in Meridian and Idaho Falls, MGM has been providing face-to-face assistance to communities for the past two decades. Their mission is to manage associations and to alleviate the burden of administration imposed on a volunteer Board. The Board can, then, focus on more relevant matters such as creating a community that thrives. For more information regarding HOA management services call (208) 846-9189 or visit http://www.gomgm.com.